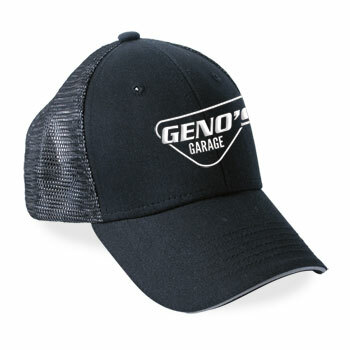 Look cool and keep your head cool with our Geno's Garage black mesh ball cap. Velcro closure. One size fits all.